After completing the page and text formatting for print, the headers are next. This step can be especially frustrating. Be sure each box is correctly checked or unchecked in the header/footer tab. Make an extra copy of the page and text formatted document for starting over, if necessary, and SAVE after each step! The title is typically on even pages (the left side of the book, but the right side of the Word document) and author’s name is on odd pages (the right side of the book, but the left side of the Word document) of print books, beginning on the second page of the first chapter. The headers usually end on the last page of the last chapter. Pages with the chapter title/number do not have author/title headers. Step 1 – Title page: View->Header/Footer, go to the Header/Footer formatting tab, and click the boxes for Different First Page and Different Odd & Even Pages. Step 2 – Copyright page: View->Header/Footer, go to the Header/Footer formatting tab, and click the boxes for Different First Page, Different Odd & Even Pages, and Link to Previous boxes should all be checked. Step 3 – All other pages prior to the first chapter should have only Different First Page and Different Odd & Even Pages boxes checked. Step 4 – Go to the last pages of the document (About the Author and Other Books by Author). Only the Different Odd & Even pages should be checked. Step 5 – Go to the first page of the last chapter. The Different First Page and Different Odd & Even Pages boxes should be checked. Step 6 – Go to the second and third pages of the last chapter. The Different First Page, Different Odd & Even Pages, and Link to Previous boxes should all be checked. Step 7 – Repeat with each chapter, working toward the beginning of the document, making sure the Different First Page and Different Odd & Even Pages boxes are checked on each first page and the Different First Page, Different Odd & Even Pages, and Link to Previous boxes are checked on the second and third pages. Step 8 – At the last pages of the first chapter, be sure the Link to Previous box is unchecked. Step 9 – On the second page of the first chapter, add either the title (even pages) or author name (odd pages) to the header. Use 12-point size in italics, if desired. Use the format paragraph function to center the title and author name in the header. 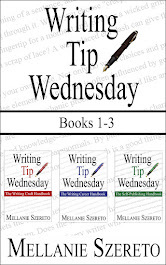 Step 10 – Repeat on the third page of the first chapter, adding either the title (even pages) or author name (odd pages) to the header. Use 12-point size in italics, if desired. Use the format paragraph function to center the title and author name in the header. Step 12 – Check each page for the proper header content. Correct if necessary. Save. Step 13 – Recheck each page to be sure the gutters and headers are correct. Save. Step 15 – Use Save As to save the document as a PDF. In my experience, the addition of page numbers in only the required places doesn’t work consistently and/or correctly in a Word document. Next up on the agenda is page numbers. Adobe Acrobat Pro is the recommended software for that step!